Norse mythology revolves around an ever green ash tree of prodigious dimensions, on which the universe is supported, Yggdrasil (pron. : ˈɪɡdrəsɪl). ᛤ is our symbol. It represents the heavens (the top) hell (the bottom). Any member of YTAT is welcome to copy and paste this into their motto, etc. 7 Please note, this Wiki page is still in construction. 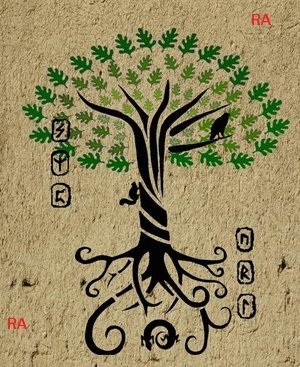 Join "Yggdrasil The Ash Tree" guild! If your hero/heroine listens he/she will embark on a quest to join us. If he/she is being stubborn and not listening try to send it again. A little bit of information about our structure: We are located at Yggdrasil's roots, which works as our own wall against invaders. Eight towers have sentinels checking our perimeter to make sure no reality vortex, unwelcome intruders or any beasts can reach Mimisbrunnr, the reflection well that lies at the center of our HQ complex. At the center of the complex stand our HQ complex. It holds within seven floors and many lower levels, known only to members and invited individuals. It's a state of the art facility that holds our initiates apartments, research center, extensive library, six restaurants, broad conference centers, visitors apartments, medical facility, information center, employee apartments, many elevators and bathrooms. At our complex's left you will have private chateaux that are given to our most outstanding members and Letter of Passage holders. They are custom designed to their owners needs. At our complex's right side you will find our Gymnasium, Control Center and Admission Center. There are many that helped on the journey of idealizing and finding a portal to Yggdrasil. On this list is a few that gave their time, blood, sweat and tears to pave the way. First and foremost is Hairplug4men. His insightful knowledge and hands on approach helped create what is now our wiki page. He lent a lot of his time to brainstorm a way to maximize our view of life. Third is our dynamic duo Iduna/Epona. You two can throw a mean party and made my stay at Sowing Sun memorable. I might hand some letters of passage to both of you. Fourth is NaturalBlondeChick. 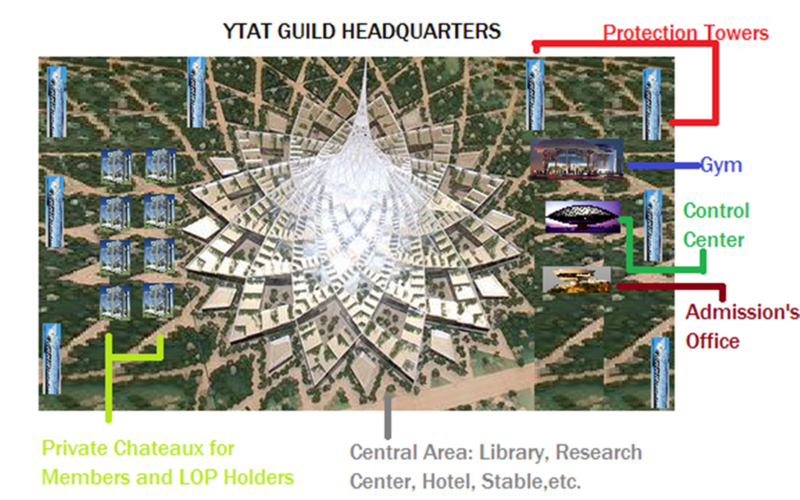 Thank you for allowing me to move on and not making me a prisoner on Sowing Suns's guild headquarters. To all others that helped: our sincere thanks and you are always gonna be welcome. Yggdrasil stands at the center of everything. It connects every point in existence and holds the very fabric of our world together. This tree appears since immemorial times on northern Asian cultures. Later on it's said that Norsemen had contact with those cultures and, extremely influenced their way of seeing life, used this reference as central part of it's culture. From it's roots to the tip of her branches, Yggdrasil holds our plane together, and on every corner there's a portal to a new place. This is an honor bestowed to our greatest contributors, friends and VIP personas. Unfortunately they are not members of YTAT, but they helped make it what it is today and continue to shape it's future. With this letter they will be able to come and go as they pleased on any plane of existence,disfruit of their own personal chateaux, with a private chef, maid and personal space for their pets. Please note, this Wiki page is still in construction. This page was last edited on 12 August 2014, at 00:39.